Steve graduated from The Ohio State University with a B.S. in Agricultural Business in 1980. He spent his summers during college harvesting wheat across the Midwest on an itinerant combine crew. After graduating he worked in the dairy, grain origination, and retail industries. In 1995 he received his Masters in Business Administration from Capital University in Columbus, Ohio. Realizing that his true calling was in teaching and assisting others, Steve went back to school, where in 1999 he received a Ph.D. in Counseling Psychology from The Ohio State University. Since that time, he has established himself as a professional speaker, leadership consultant, and executive coach with the creation of Integrated Leadership Systems, LLC. Steve has assisted such companies as: Sunoco, McGraw-Hill, Honda, Nationwide, The Ohio State University, Husky Energy, Irving Oil, OhioHealth and Worthington Industries. 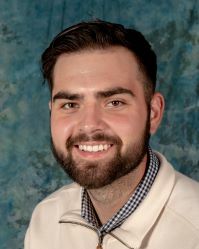 Steve is presently on the board of directors for The Nature Conservancy and is pursuing a Masters degree in Environmental Science. Steve is the author of four books on leadership. Steve lives with his wife, Charlisa, in Westerville, Ohio. M.J. has worked in the communications field for more than 20 years. She has a master’s degree in organizational communication from The Ohio State University and a bachelor’s degree in public relations from Ohio University. 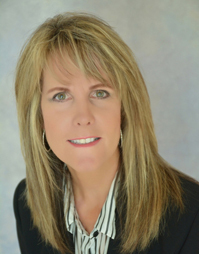 As a Senior Leadership Consultant, M.J. has helped countless business owners and senior level directors/managers become more emotionally aware and communicate more effectively to grow their business, plan for succession and become more effective leaders. M.J. has assisted such companies as Husky Energy, South Central Power Co., Matesich Distributing, Corna Kokosing, George J. Igel, & Co., Security First Insurance (Florida), Upward Brand Interactions, Elford Construction, Bryan City Schools and others. Katie graduated from Denison University with a B. A. in Psychology in 2001. As a senior captain, she helped lead the Denison Women’s Swimming and Diving Team to their first National Title. In August of 2008, Katie received her Psy. D. in Clinical Psychology from the Institute for Graduate Clinical Psychology at Widener University in Chester, Pennsylvania. During her doctoral training, she provided individual counseling to a number of clients suffering with a variety of mental health issues and completed a concentration in organizational psychology, which has helped to prepare her for working with businesses throughout her career. Katie has been with ILS for eight years. 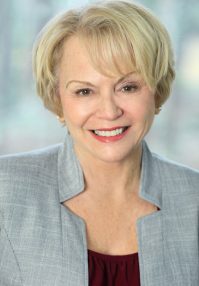 As a Leadership Consultant, she has provided executive coaching to a number of business executives and leaders with the goal of helping them to become more self-aware in order to lead more effectively. 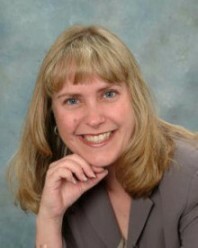 In addition, she has experience with onsite business consulting and conducting leadership workshops. Katie has assisted such companies as: Elmer’s Products, Questline, Ohio Health, RiverView Health, Fisher-Titus Medical Center, Hospice of Central Ohio, Bruner Corporation, Kokosing Construction Company, Inc. and George J. Igel & Company. Katie lives in Powell with her husband Matt and their two young children. Katie loves being active. She enjoys cycling and running and is hoping to finish her second full marathon sometime within the next year. In addition, she is passionate about animals and helping homeless dogs find their forever home. Mario holds a Master’s Degree in Industrial and Organizational Psychology from Capella University and is currently working on his PhD in the same field. His Bachelor’s Degree is in Psychology from St. Cloud State University. He also holds certifications in Hogan Assessments and The Leadership Circle Profile 360 assessment. 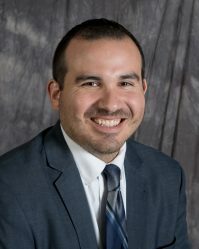 Before joining Integrated Leadership Systems (ILS), Mario worked as an Organizational Psychologist for the State of South Dakota working with executive leaders and teams to improve the state’s workforce in areas including leadership, culture, employee engagement, selection, and performance. As a Consultant and Executive Coach for ILS, his goal and passion is to develop and transcend leaders and teams to help lead their companies into a sustainable future of maximum performance and health. 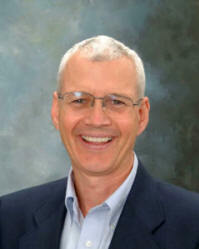 He enjoys blending his knowledge of social, cognitive, and health psychology with the business side of psychology. His academic research and interests are in the areas of leadership and organizational development, work motivation, training and development, and occupational health. Mario currently resides in Minneapolis, MN with his wife and 3 children. Mario exhibits an open and outgoing personality, analytical mind, and drive for lifelong learning. His love outside of work is spending time with his family, serving in his church, and of course, watching the Minnesota Vikings. In addition, he has a passion for bowling and has even bowled a couple perfect 300 games! Lisa graduated from Jackson State University with a B.S in Psychology in 1992, and subsequently went on to get her Masters of Social Work in 1995 from University of Wisconsin-Milwaukee. 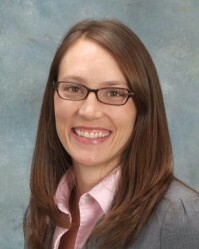 She began her social work career initially counseling children and families. However, she was motivated to work within the health care industry. As a result, she acquired 20 years of experience most recently providing health coaching to customers of Highmark Blue Cross Blue Shield. In her role as a health coach, she has been a guide to numerous customers helping them identify steps toward living a healthier lifestyle. In 2008, she was admitted to Capella University’s graduate school as a part-time student, and in December of 2017 she was awarded her Ph.D. in Industrial/Organizational Psychology. Her current objective is to utilize her coaching background and education to empower and build more effective business leaders. Lisa lives with her husband, daughter, and dog Jasmine. In her spare time, she enjoys biking, reading, and singing. Char is the Operations Director for ILS. She worked in retail and office management for 20 years in western Canada and Montana before moving to Columbus in 1997. She graduated from DeVry University with a B.A. in Business/Information Systems in 2003. Char worked in IS support, network administration and systems analysis for 7 years before joining ILS in August of 2005. She has worked in sales, retail and office management and computer software training for several companies over the years. She is working with her husband, Steve, as Operations Director, website and newsletter designer and administrator as well as in marketing and public relations. It is a thrill to be working with her husband, the ILS team and their wonderful clients. Jane is a graduate of Waynesburg University with a B.S. in Finance. She moved into the insurance industry upon graduation and was a field sales rep for the two national companies: The Travelers and CNA Insurance. She left the company side to work for a local independent insurance agency, Insurance Unlimited, as an insurance agent. Upon the arrival of her daughter Abigail she opted to become a full-time mother. While at home she ran a successful small business, Watch for YOU, where she made women’s jewelry. She also helped out at a local business, Perfect Image. With Abigail off to college Jane decided it was time to reengage with the business world. At ILS Jane helps to seek out our speaking engagements and helps with the Leadership Institute. Her customer service skills are second to none and she’s been a wonderful edition to the ILS staff! On a personal note Jane has been married to Brian for more than 25 years. She’s passionate about golf and the Pittsburgh Steelers.